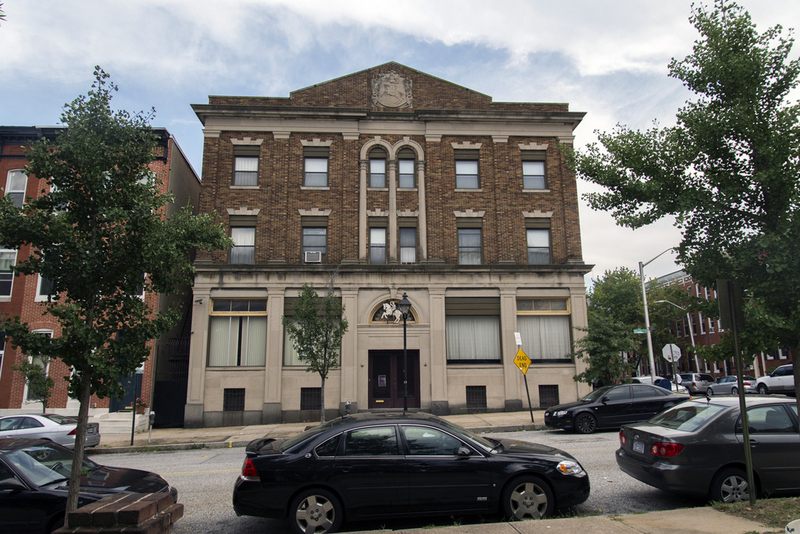 Known for much of the last century as Lietuvių Namai, Lithuanian Hall is familiar to more than just Baltimore’s Lithuanian immigrant community; in recent years local bands and promoters have turned “Lith Hall” into a popular venue for the city’s thriving music scene. 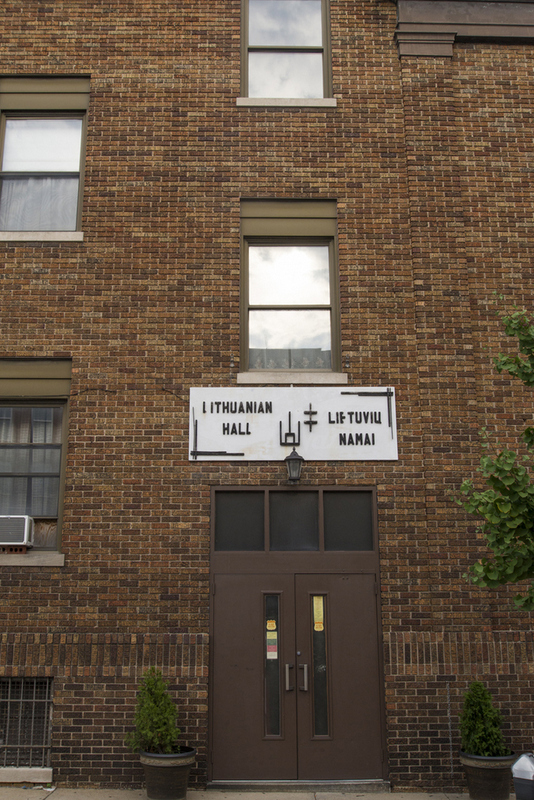 Lietuvių Namai first opened in 1914 in three West Barre Street rowhouses. A growing population of Lithuanian immigrants, including many who attended St. Alphonsus Church nearby on Saratoga Street, soon needed a larger hall for community gatherings. After raising funds from individuals, local businesses, and fraternal organizations, the handsome hall on Hollins Street, designed by architect Stanislaus Russell, opened to a full month of celebrations in February 1921. 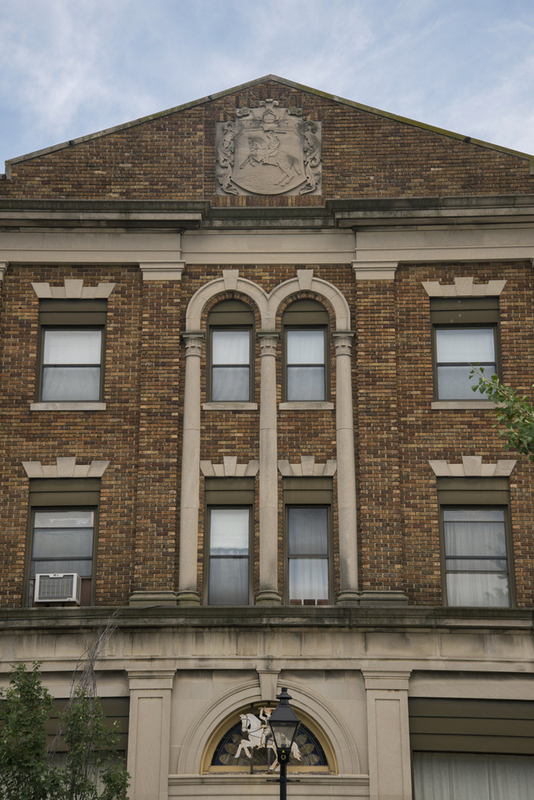 The building is made of Indiana limestone and tapestry brick with a carving of the Lithuania coat of arms on the entryway pediment. After its opening, the Lithuanian Educational Association, National Lithuanian Library and Lithuanian Orchestra all found homes in the building. 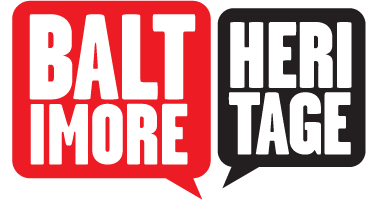 Today, the hall takes a different approach and engages a broader community of residents than its original base of Lithuanian immigrants. 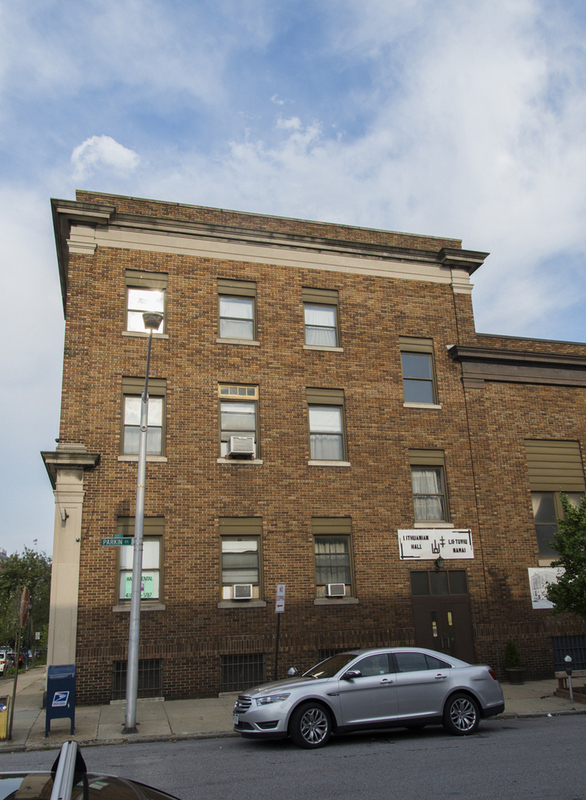 The hall has incorporated as a non-profit and, on the first Friday of every month, the venue hosts a “Save Your Soul” party playing vintage soul and R&B music. 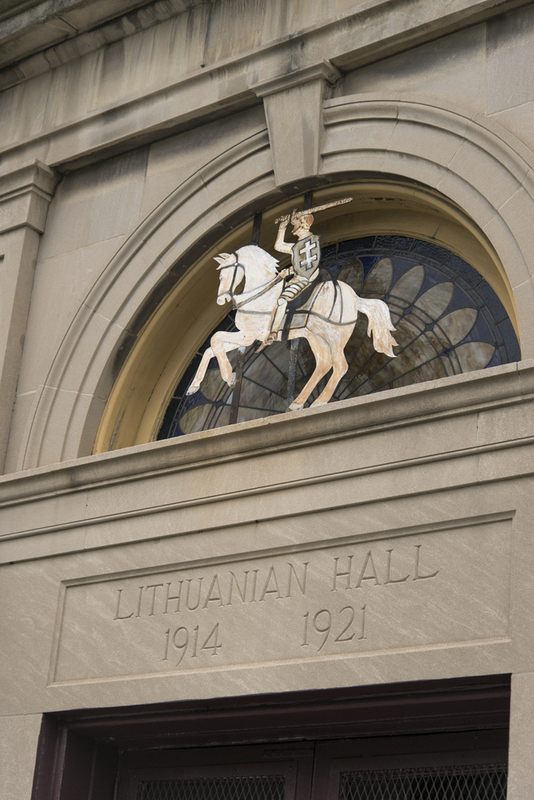 Eli Pousson, “Lithuanian Hall,” Explore Baltimore Heritage, accessed April 19, 2019, https://explore.baltimoreheritage.org/items/show/286.